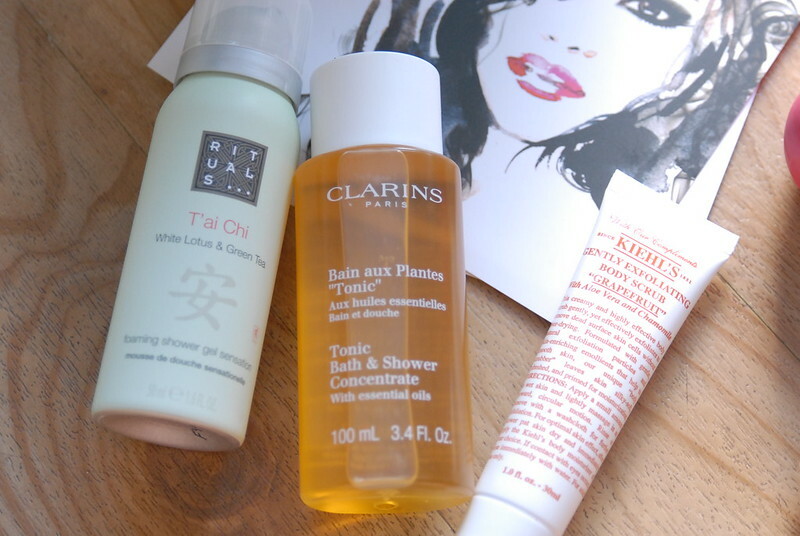 In celebration of their Beauty Week, which has been taking place since Monday, the lovely people at Fenwick kindly sent me a special goody bag of their favourite products this summer. Since I’ve been a bit (ok, a lot) absent on the blogging front, I didn’t feel very deserving of my swag bag.. Containing a cracker with the new Viktor and Rolf fragrance, BonBon, a body lotion and shower gel; Clarins Bain aux Plantes Tonic, EOS pomegranate and raspberry lipbalm; Molton Brown Orange and Bergamont hand lotion; Khiel’s Gently Exfoliating Body Scrub; Rituals T’ai Chi Foaming Shower Gel and Dior Addict It-lash (separate review to come on this one! ), it certainly offered the chance for an almost full body pamper session! Not that I’ve had much of a chance to indulge.. I have however found a few new additions to my handbag essentials in the Molton Brown hand lotion and Dior Addict It-Lash in their little dinky sample sizes. 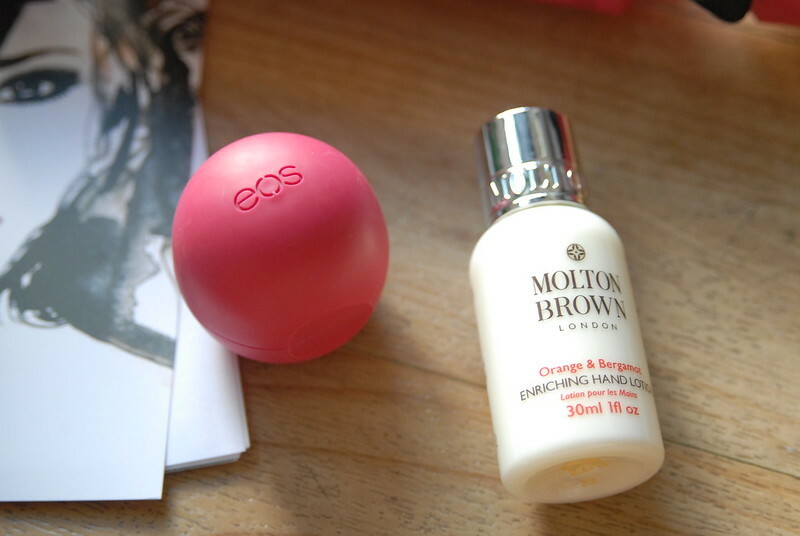 Not to mention the EOS, which has quickly become my latest obsession. I’ve been pretty stuck on a combination of Carmex (for when my lips are really sore) and Burts Beeswax pomegranate lipbalm for the last few years, but I think I’m a convert. Yes, it’s in a weird shaped package, which when put down on a table/desk will prompt whoever is sat with you to start playing with it. Yes, it’s a novelty round shape that you don’t have to stick your dirty fingers in and so it won’t harbour germs. And yes, it tastes good. But despite everything that tells this product SHOULD just be a gimmick, I can’t help but love it! And yes, it does make your lips unbelievably smooth. 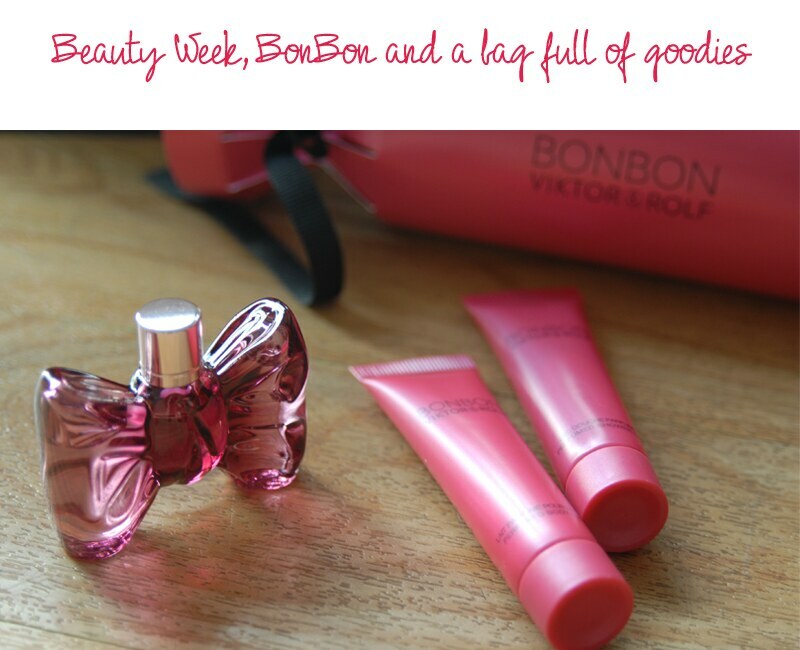 Another surprise for me was Viktor and Rolf’s BonBon, their sweet smelling new release. In general, I’d usually shy away from anything too sweet in favour of a more citrus scent. While this is a little sweeter than what I’d usually go for, the hint of mandarin gives it a nice sharpness and a little hint of the sandalwood and cedarwood make it just musky enough to not become too sickly. Having already been running all week, there’s still plenty to come from Fenwick’s Beauty Week. Throughout the week you’ll also be able to enjoy daily live beauty demonstrations, a luxury gift with purchases, new product launches and springtime fragrance sampling. Not to mention make-up and skincare master classes with experts like Sisley national makeup artist, Paulina Siembor and Laura Mercia national make up artist, Chris Howells, who are both visiting the Beauty Hall tomorrow. And Dior regional make up artist, Martin Aitken visiitng the Beauty Hall on Saturday. Or just keep up to date with the latest offerings on Fenwick’s Facebook or Twitter. Big thanks to the lovely people at Fenwick for the bag of treats.. I can’t wait to try the rest of them out!